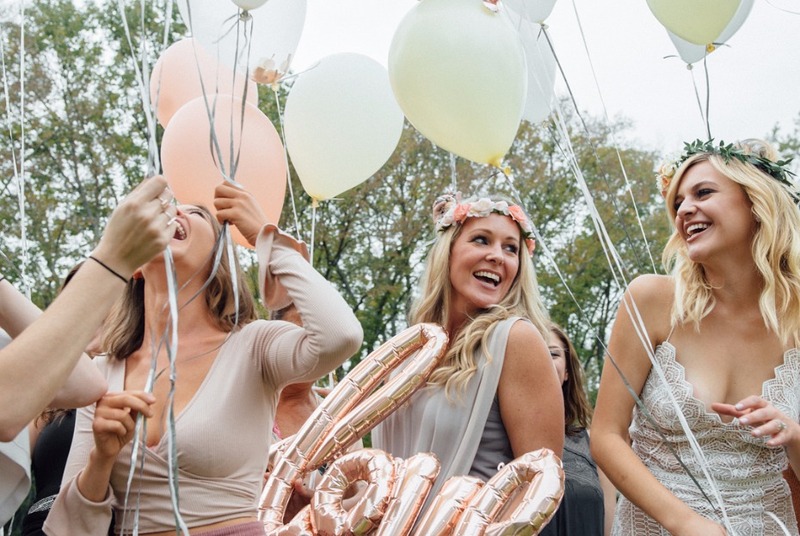 Fall wedding season is in full saaaawinggg, and we couldn’t be happier! 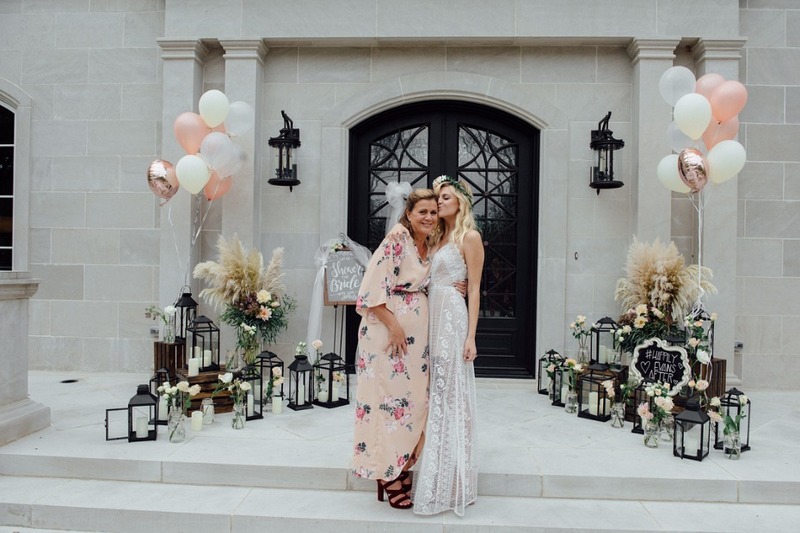 But what really had us excited over the last day or so, was being able to spend some serious time stalking Kelsea Ballerini’s bridal shower. It was amazing. Like really, truly, the stuff #legends were made of. According to an interview she had with People last month, Kelsea said “I have the dress. We have the place. We have the plane ticket. We’re ready to go.” So, seems like these two are tying the knot prettttty soon! Rumor has it, she’ll be rocking a few wedding day ensems. Yes. Yes. Yes. We could totally see Kelsea in BERTA Fall 2018. And now, back to the shower. 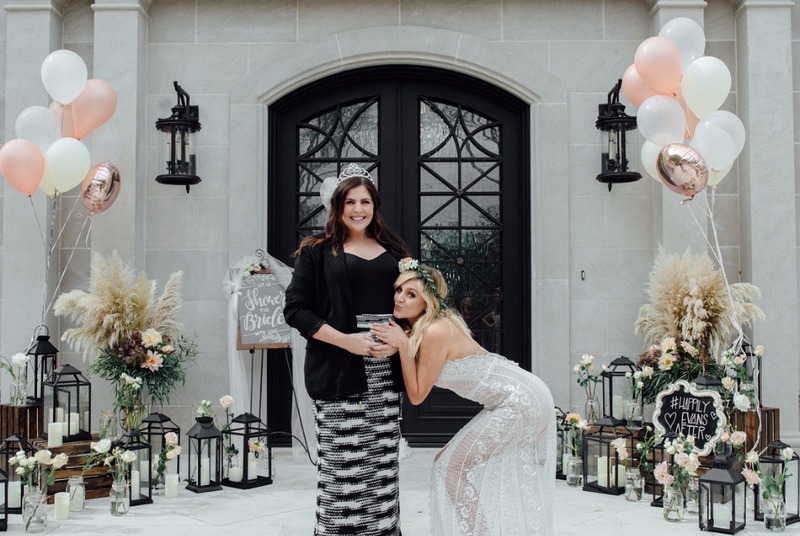 While details of the day are still emerging, thanks to KB’s Insta shares, we’re pretty sure it happened this Saturday, October 21st and was attended by the country cutie’s family, BFFs and industry influencers - like twin-mama-to-be and THE lady from Lady Antebellum, Hillary Scott. From what we’ve seen on Kelsea’s feed and those of her friends, we’ll sound off on some of our favorite things. Get ready to take notes, chicks! The Aesthetic Was [Unapologetically] Awesome. From the balloons, a mix of classic, soft-colored helium ones, mylars and foil letter balloons for the bride (K) and groom (M), respectively, to the effortlessly enchanting entrance way, done up with whimsy lanterns, flowers and on-point signage (#happilyevansafter, so. good. ), the occasion was all kinds of special. Complete with flower crowns for the soon-to-be Mrs. Evans and her most-likely MOH. Let’s just be honest, showers can be lame AF. From the cheesy games, to the insane amount of time it can take for the bride to open her gifts, it just gets old. But after trolling KB and her squad’s snaps, we can say that these ladies had the best time ever. 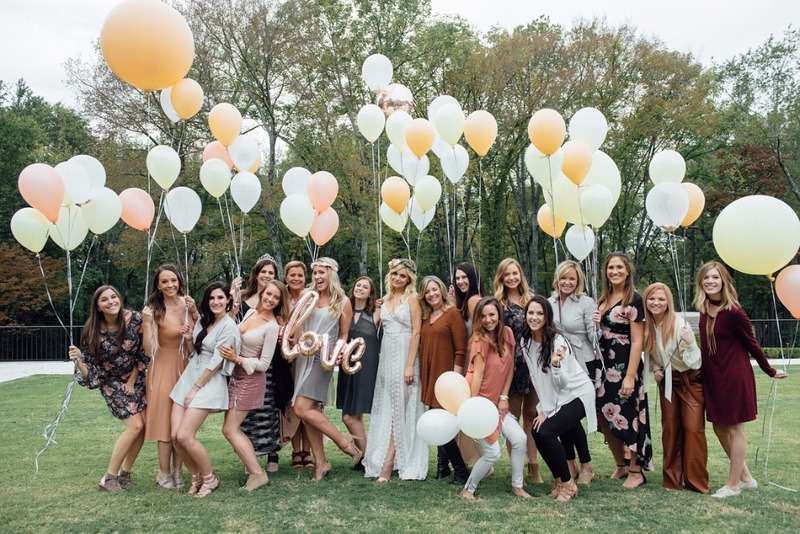 After toasting the guest of honor (while preggo Hillary Scott sipped on sparkling water with a #fancy straw), they had some sort of toilet paper bridal toga action, posed for group pics outside, and finished off the day by jumping in the pool fully-clothed. Yes, that’s right, the bride trashed her dress, and it was perfect. We tried to find a smile-less picture in the whole bunch, but couldn’t do it. And that’s a testament to the above-mentioned fun and obvious photo skills of one @_blythethomas. From shots of Kelsea beaming herself, to the magical montages of she and her crew, plus those infectiously happy ones in the pool, the moments captured (both posed and candid) were presh and then some. What would it take to get an invitation to this wedding? Really… we’ll do just about anything to get a ticket to Neverland. #PeterPanPosse. Hey ladies, you may want to brush up on How To Plan A Bachelorette Party In Palm Springs. In other country singer news Kacey Musgraves Got Married And Her Wedding Was UNREAL.